Project work makes up one-third of Year 3 and final year work and is a highly valued part of the course. The Year 3 project is a significant piece of independent, research-based work - designed by you and carried out with the guidance of academic staff who acts as Project Advisor. You are encouraged to develop your own project idea within the year two research skills module and wherever possible, projects have a practical component. This may include acquisition of new data either via field or laboratory work or analysis of existing datasets. 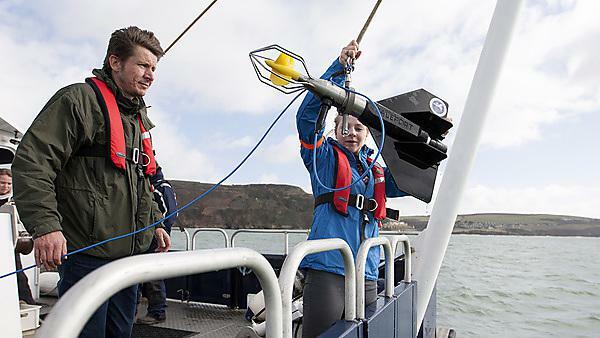 In the final year, MSci students conduct a research or consultancy-type project closely linked to one of our internationally-leading marine science research groups and or industrial partners, providing an experience of working with established marine scientists and contributing to current work in a wider context.